Disrespect towards a much weaker opponent, or just having some fun? At the end of its Round 20 game against Kuzbass, Zenit Kazan‘s coach Vladimir Alekno let famous Russian libero Alexei Verbov, who had entered the game at the back-row to pass and defend as a reserve defensive specialist (Valentin Krotkov started the game as libero), reached the net and try his luck in attacking. He succeeded in 1 of his 4 tries, netting his first points in a career that already expands 20 years. You can see his true excitement in the video below. The 35-year-old Verbov has played his whole career in Russia. 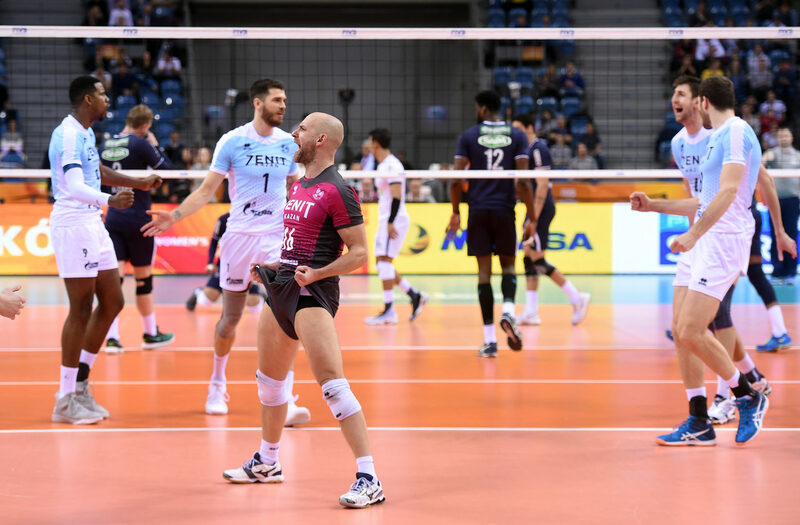 In Kazan since 2013, he he has won the 2015-16 and 2016-17 CEV Champions League titles, the 2015-16 Russian Championship, and the 2017 FIVB Club WCH. With the Russian national team, he won two Olympic Bronze medals (2004 and 2008), a World Cup silver medal (2007), and an European Championship gold medal (2013), among many other titles.